Day One, the best journaling app for Mac and iOS, has released an update to its apps that adds a new syncing option. 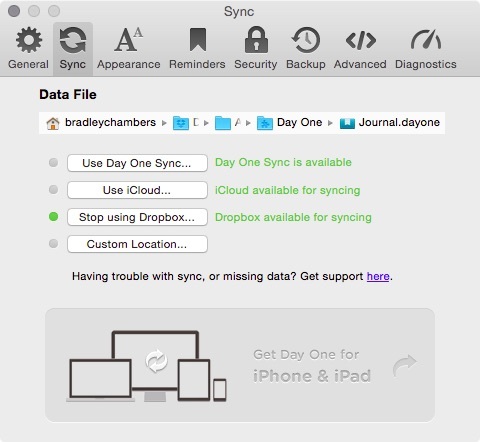 While it still offers iCloud and Dropbox sync, Day One now offers its own syncing service. You can enable in the settings menu of both apps. They are storing the data on Amazon S3, so it’s basically in the same place as it was before (Dropbox uses Amazon S3 as well). 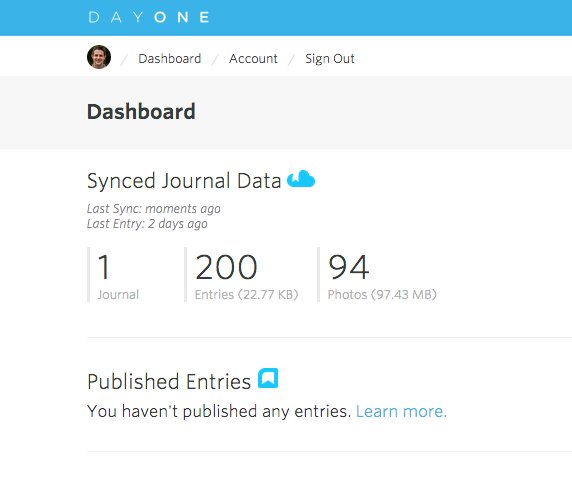 If you’ve ever published a journal online publicly, you can use your existing Day One account to migrate your data over. I never had an issue with Dropbox sync, but Day One’s sync was so fast that I wasn’t even sure it worked when I migrated. 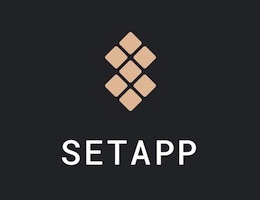 We stand behind our love of Day One, and it’s great to see the developers continuing to invest in an ecosystem that is storing a lot of great memories. 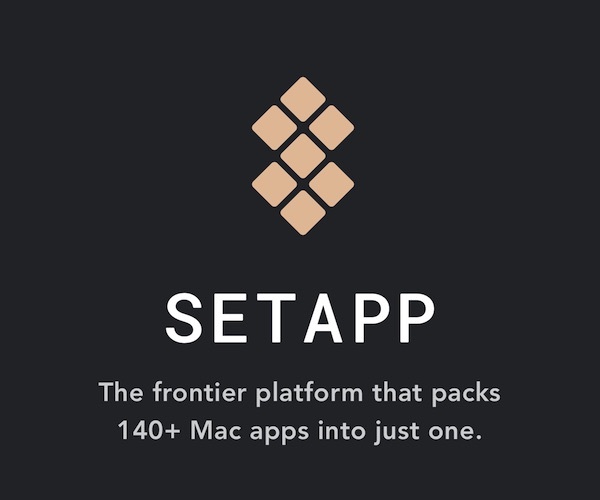 Day One is available for Mac OS X or iOS.